A year before seeing Buddy Guy in San Francisco I saw his brother Phil play in Chicago. 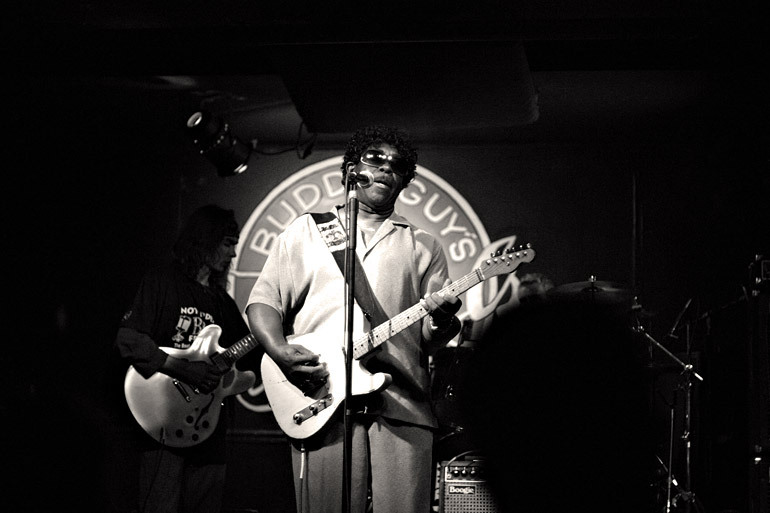 The venue was Buddy’s own Legends (Buddy Guy’s Legends Blues Club.). Phil Guy is a terrific guitarist and singer, coalescing many different blues styles into his own repertoire. I recommend his album Funky Booty, which I bought directly from him that night.